Wear The Lord of the Rings and show some love! 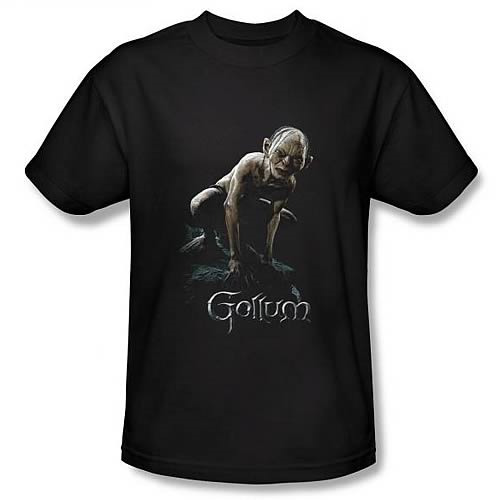 It's Gollum, as grimy as ever, now on a t-shirt. Show your love for The Lord of the Rings by wearing this t-shirt. This excellent Lord of the Rings Gollum Black T-Shirt features an image of Gollum himself, crouching on a rock and looking as degenerate as ever. This is a must-have t-shirt for any fan of The Lord of the Rings and The Hobbit!